This is a natural Thai long-grain rice similar to regular white jasmine rice. The main difference between these two varieties is the milling. Milling removes both the husk and the bran layer of the kernel. Through the milling process, rice becomes white. Our red cargo rice is milled only to remove the outer husk, but the bran layer remains. Because of the existence of this bran layer, cargo rice contains more nutrients than white rice. In particular, cargo rice is high in fiber and vitamin B. Red cargo should be prepared in an electric rice cooker using the same method as you would cook jasmine rice. 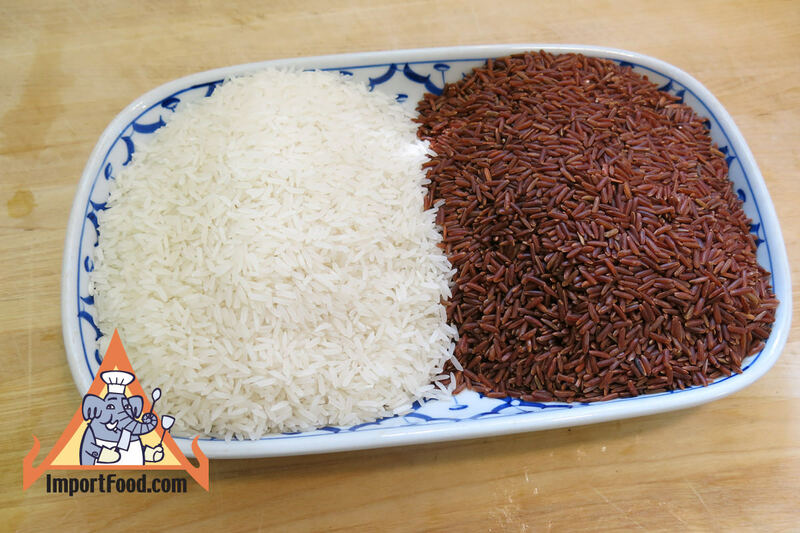 Red cargo rice is commonly served in both Thai and Vietnamese meals. Lately in Thailand, more elderly people are eating red rice in order to capture the added nutrition. 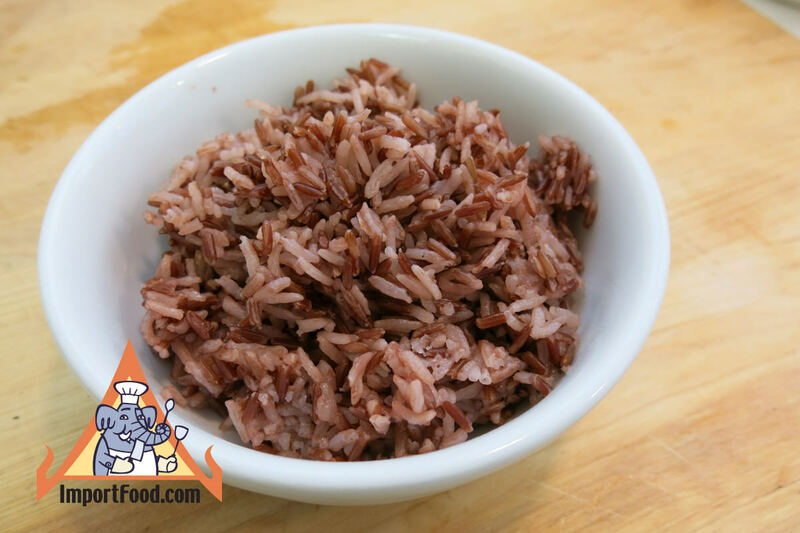 Also, along with the recent explosion of Thai restaurants around the world focusing on Street Vendor style food, restaurants often serve steamed rice that has 10-20% red cargo mixed in, to give it a rustic "wild rice" appearance. We enjoy red cargo cooked together with white jasmine 50/50, this creates a lovely color and earthy aroma. 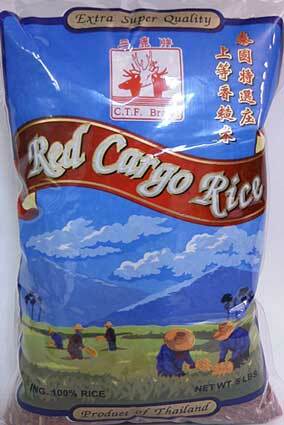 Ingredients: 100% Red Cargo Rice.